It is becoming more apparent that utilizing spray foam insulation to seal and insulate a Kennesaw home is quickly replacing the outdated method of using pretty pink fiberglass to complete the same task. The reasons for this change in residential as well as commercial construction are numerous. With many benefits and only a few drawbacks, it is rapidly becoming the insulation of choice among home owners and professional contractors. The advantage of spray foam insulation that immediately grabs most people’s attention is the savings. Although it costs up to three times more to initially install, the long term savings associated with foam insulation far out way any cost differences. In most cases, the difference in price is made up within the first five years, yet the savings continue for the life of a Kennesaw home. Lower heating and cooling costs quickly add up, and, since spray foam insulation does not deteriorate, the savings continue indefinitely. Spray foam insulation appeals to contractors due to the time it saves. One application is all that is required in order to seal and insulate. And, since, it does not settle, there is no need to re-apply. Improved air quality and noise reduction are two other benefits that accompany spray foam insulation. It reduces airborne particles and fibers, which, in turn, helps to reduce allergic reactions. Spray foam’s unique make-up help do reduce sound infiltration from outdoors as well as between rooms and within ceilings and floors. Spray foam insulation can literally save your Kennesaw home as it is insect and fire resistant. All of these qualities make spray foam a great choice when insulating a home. The only drawbacks are that it can be quite messy and is best installed in new construction. However, with certain modifications and precautions, it can be used in remodeling projects. It is also best to leave the installation to professionals at Southeastern Insulation. If you’re looking for a way to protect the environment and make a positive impact in your heating and cooling costs, then you cannot go wrong in cellulose insulation installation. 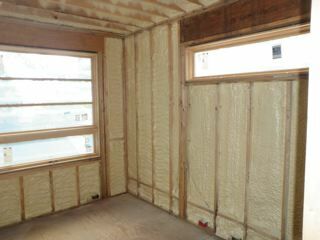 This type of insulation is manufactured in an environmentally friendly form and uses materials are all recycled. If you want to greatly reduce your carbon footprint, then cellulose insulation is the way to go! This method can help provide your home with superior protection against drafts and energy loss, helping you keep a much more energy efficient and greener home. 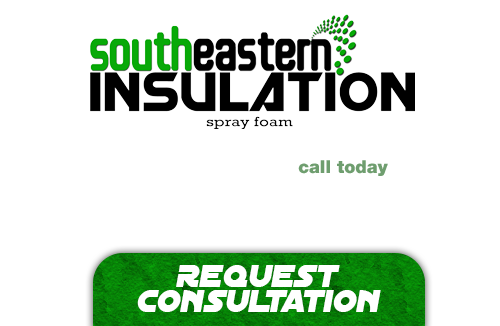 If you want to lower your heating and cooling bills, you should consider having cellulose insulation installed today by the professional team at Southeastern Insulation. If you’re looking for a professional Kennesaw Spray Foam Contractor, then give us a call today at 678-561-FOAM (678-561-3626) or complete our request estimate form.